What are your holiday wishes or New Year's resolutions that you hope the faculty majority - both lower and upper case, will make? What do you see or hope to see in your own future in (or out of) the academic workplace? I'm still in that vague holiday / vacation mode, working myself up to Serious Summitry (NFM National Summit, Jan 28, 2012 ~ hashtag #newfac12) in the form of updates, exhortations, and other pre-Summit blogging exercises. There are other items on the "I really should get around to blogging this" list, serious, important, meaningful items ~ really, that I am not yet in the mood to do. Why not? Holidays. Winter. Snowed in. Whatever. Procrastination is the obvious solution. 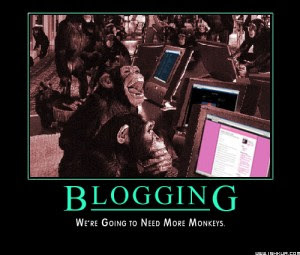 Despite tweeting and sharing on Facebook more to make up, the burden of regular blogging beckons yet. Seasonal themes work for other social media commitments, why not here? Merry Humbug, everyone; hope you're keeping warm and sane. If you could ask Santa to get the NEA to do one thing, what would it be? It has to be something the NEA can actually do, but this could be lobby for legislation, for instance. Monday's my birthday, so maybe we could make your request to Santa your birthday gift to me, and make that the deadline. I'd like a quick, simple off-the-top-of-your-head response anyway. We came up with lobbying to legislate revisions in Federal labor law to close the loopholes in state codes that let states deny adjunct / contingent faculty unemployment compensation, getting the DoL to revise job titles and descriptions so we can be eligible for student debt relief waivers for teaching, among other benefits, and, finally, endorsing and moving to implement the Program for Change. Judy's deadline is past but the season extends to January 5, Epiphany and Three Wise Men. What could be more appropriate than that? We might even get an epiphany out of it. Let's reshape the parameters and use this a focus exercise for 2012 and the Summit - an extra few days for resolution making. If you could ask for precariously employed academic knowledge workers to accomplish just one thing this year, what would it be? That's all of us, including but not limited to New Faculty Majority, unions, higher education action and even Occupy groups. It has to be something within the realm of possibility, but this could be to implement a campaign or lobby for legislation. So what does that have to do with #adjuncts, #academiclabor & #NFM's #highered mission? In my opinion, plenty. Perhaps Juan Cole's Truthdig essay How Students Landed on the Front Lines of Class War will help explain why we should be there with them. If not, then at least include it in discussions about our purpose and where it fits in the current cultural, economic and higher education landscape. The University of California system raised tuition by more than 9 percent this year, and the California State University system upped tuition by 12 perceity. Follow the link to read the rest of How Students Landed on the Front Lines of Class War. Juan Cole, a celebrated Mideast scholar and the Richard P. Mitchell Collegiate Professor of History at the University of Michigan, also blogs at Informed Comment. His Truthdig column appears every other Tuesday. Actions. Protests. Campaigns Occupations. Summits. Conferences. Conventions. You know the boundaries are blurring when cops pepper spray not Berkeley but UC Davis (the 2nd whitest UC campus in the system) students and there is a movement to Occupy MLA, about which most of the conversations take place on Twitter. You doubt? Then search and follow the OccupyMLA or OMLA with or without hashtags. See for yourself. Yikes! Does this author really not know that at least one very sophisticated and skilled workforce—the one doing all the higher ed teaching—is, well, you get the idea. Furthermore, In regard to the author’s own institution, while the Pine Manor College website claims, no doubt truthfully that "The College employs nearly 200 individuals, including full- and part-time faculty and staff," the US Department of Education reports via IPEDS that PMC has 53 employees whose primary task is instruction, and almost half of these are part-time. DO have a look and make polite comments in response. Not adjuncts, not lecturers ~ students. That is the group Henry Giroux identifies as the "new intellectuals." How and why did we miss playing a central role? Have we been chasing the wrong brass ring? In my admittedly personal opinion, changing the world trumps "professional dignity" any day. Finding our way to a more humane future demands a new politics, a new set of values, and a renewed sense of the fragile nature of democracy. In part, this means educating a new generation of intellectuals who not only defend higher education as a democratic public sphere, but also frame their own agency as intellectuals willing to connect their research, teaching, knowledge, and service with broader democratic concerns over equality, justice, and an alternative vision of what the university might be and what society could become. Under the present circumstances, it is time to remind ourselves that academe may be one of the few public spheres available that can provide the educational conditions for students, faculty, administrators, and community members to embrace pedagogy as a space of dialogue and unmitigated questioning, imagine different futures, become border-crossers, and embrace a language of critique and possibility that makes visible the urgency of a politics necessary to address important social issues and contribute to the quality of public life and the common good. Time for contingent faculty to combine necessary and pragmatic goals of improving our economic and professional lot with crossing a few borders. It's written into our mission statement. Nor are the two mutually exclusive. The famous Hillel quote comes to mind, "If I am not for myself, then who am I for? If I am for myself alone, then what am I?" Not a bad start for our brand and explaining who we are. Because of final exam schedules at Stony Brook we will not be able to review proposals for the How Class Works - 2012 conference until Monday December 19, so we are extending the deadline for conference proposals for one week to afford all the extra time. The deadline for proposals is now December 19, 2011. See guidelines below. If you are an AAUP Collective Bargaining or Advocacy chapter would like to run for National Council or one of the other positions of the AAUP, please let me know. I am on the nominations committee, and would like to see more contingent faculty representation. If interested, please read the information on the Nominations Invited page, and if you have any questions let me know. Thanks for considering this. You will need to attend two meetings per year. All expenses are paid. I am on the nomination committee and on council. In case we are not wrong, then surely this is the time for as many adjuncts, contingent faculty and other non-tenurable academic knowledge workers to stand for the council, Then with a slate worth supporting, join and vote it in. There is an advantage to being in the majority, even an exploited one, but not unless we seize it. Now. Plaguing not just students but so many adjuncts as well... yet another way in which our fortunes (or lack thereof) and destinies intertwine. Many adjuncts were GTAs once upon a time, those more recently than others all the more likely to be sharing the same burden of student indebtedness. It's time to join them. How are you supporting the November 17th Day of Action? The date is also International Students Day, established in1941 to commemorate the anniversary of the 1939 Nazi storming of the University of Prague after demonstrations and the execution of nine student leaders, over 1,200 students sent to concentration camps, and the closure of all Czech universities and colleges. Every single law Congress has passed regarding student loans since the federal program was introduced in 1965 has benefited lenders and made repayment or bankruptcy harder for borrowers. In addition to being unfair, this seems perhaps like bad policy, unless we really think it’s best for college graduates to spend their first decade (or decades) in the workforce sending substantial portions of their income to private lenders. Last weekend APSCUF President Steve Hicks and Executive Council member Jen Bacon attended the second gathering of the Campaign for the Future of Higher Education. Here are their reports: Campaign for the Future of Higher Education Meets in Boston, Plans Next Steps. "For those who are interested in learning more about a new organization specific to the issues of contingent faculty, please visit the New Faculty Majority website"
NFM is pleased to have been a part of the struggle to preserve collective bargaining rights for public employees in Ohio. However, as satisfying as the victory in Ohio is, it is critically important to remember that part-time faculty and graduate students still do NOT have the right to bargain collectively here in Ohio. It is time now to extend collective bargaining to these faculty members who do the majority of the teaching in appalling working conditions in public colleges and universities in Ohio. We hope that the faculty unions will commit themselves equally to fighting for professional working conditions for these colleagues as they did to preserving the rights of the full-time faculty. Because faculty working conditions are student learning conditions, all students deserve equal access to professionally supported full- and part-time faculty. Take a reading break while waiting for final report and wrap on #CFHEs 2nd National Gathering this past weekend at UMass. Preliminary reports for Friday and Saturday are available on Restructuring Public Hi Ed. Have you checked out the NFM Foundation page for information on our 2012 Summit? Results and analysis of our back to school hiring experience survey will appear there soon. Not to left out, the New Faculty Majority page is poised for a relaunch. Sources of illumination: Characterised by creativity and attuned to the needs of their age, the first European universities have important lessons for higher education today .... Why we need for-profit colleges: Profits and education shouldn’t have to be such an ugly combination. Accountability is all the rage in today’s education reform industry and at the university level, but do we really want professors to be productive? Ann Blair on her book Too Much to Know: Managing Scholarly Information before the Modern Age. Saturday, Nov 19, 9am-1pm, Washington DC. See below for details on topics and calls for presentations. This is late getting this out (my bad), so contact Anne McLeer to make sure the Forum is still accepting presentations. Read the read of the post too. It goes to budget, ed tech, ed biz incursions, governance, Campaign for the Future of Higher Education issues and more... a thoughtful "WhitherU" post that addresses a question, Can someone in universities please start thinking about cultures of trust and what creates them? ?, posed in yet another blog. First, in an era of contracting budgets there’s an acute lack of resourcing for teacher development, experimentation or change management, particularly in relation to emerging technologies. Secondly, the rise and rise of student evaluation as a proxy for professional peer review means that we’re constantly beta testing in front of hostile judges. It’s not so much MasterChef as Dancing with the Stars, blindfold and on stilts. In fact, it’s Wipeout, and about as much fun. Great day today at Union County College in Cranford New Jersey. Our AFT Local's Executive Board hosted a 5 hour marathon for Campus Equity Week in the main hallway of the main building. Within the first 2 hours we gave away over 100 AFT "I Make a Difference Every Day" T-shirts while the Board wore our Scarlet Letter 'A' is for \Adjunct t-shirts. By the end of the day we went through several large urns of coffee, about 300 cookies and pastries, and a lot of explanation to students about how the adjuncts add to the success of the students. We harvested over 500 signatures on our petition for proportional compensation for adjunct faculty. The President of the College and several of the VPs actually joined us for a short time and shared cups of coffee. The chapter Executive Board of AAUP (our full time faculty) actually sat at our tables for most of the day to show support for us. If nothing else, with all of our signs and posters, we did make a statement, and hopefully we can build off of the start we made today for equity for adjuncts. This week in post-secondary institutions across Canada faculty and staff are highlighting the problems that non-regular faculty face in their demand for fair employment. It is a struggle that every local in our Federation takes on at the bargaining table and throughout the term of their collective agreements: the struggle to achieve fair and secure employment for every member. #TrueAdjunctTales: "20 years as an adjunct?" 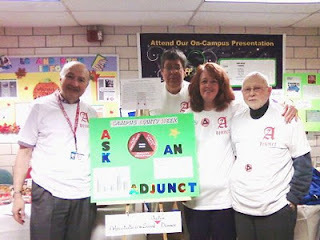 #TrueAdjunctTales presents "20 years as an adjunct? I think I just threw up in my mouth." Welcome to #CEW2011. Past midnight, Campus Equity Week is now officially underway. What could be more appropriate than to start the week with the film that is probably a CEW signature event. If your group is hosting an information table, set up a laptop to screen Degrees of Shame and other videos. A large HD monitor, if you can finagle one would be a plus. And if there is no table or special campus activity, don't let that stop you. Why not do something on your own or with a few colleagues? CEW originated as a grassroots, local initiative event. Share the video (and others ~ we'll be posting a playlist), blog it, host an informal movie night, ask your local Occupation to show it, email the link to the press with a cover letter (to the editor) and / or to legislators ~ and elsewhere. In 1960 Edward R. Murrow made Harvest of Shame a television documentary about the plight of migrant farm workers. To Barbara Wolf the economic situation and working conditions of adjunct professors suggested an information economy parallel to migrant farm workers. Following the logic of Harvest of Shame, Wolf interviews a variety of adjunct faculty to make visible the working lives of these least respected but absolutely vital faculty members who now do more than 40% of the teaching in America's institutions of higher education. Interviews with university administration officials, union leaders, legislators, and other observers document both the problem and possible solutions. Murrow concluded Harvest of Shame by asking his viewers to cultivate “an enlightened,aroused and perhaps angered public opinion” and to demand a change. Wolf sees her documentary as both informational and, in Murrow’s tradition, as a tool for change. Found the Omnivore piece below languishing in drafts, hopefully not too late. Scott McLemee's Occupy piece may seem a tad outdated and even superseded by now. However, with the International Student Movement's November 7-20 Global Weeks of Action just around the corner, the piece is still timely, a reminder of the global. What a fall calendar: Campus Equity Week 2011 next week (and still resources and exhortations to post! ); then Campaign for the Future of Higher Education the 1st weekend in November with ISM actions starting the very next week and peaking November 17 on International Students Day... all against the backdrop of ongoing Occupations. Is it just me or could movements use "action planners" to coordinate schedules? What about cooperative actions? So, Another President doesn't know how many adjuncts? 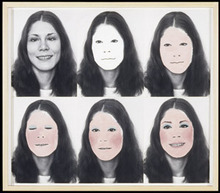 Do see this wonderful post of Jonathon Rees at his More or Less Bunk site. "Three or four presidents of my university ago (they come and go so fast these days that I’ve lost count), I asked the man what percentage of courses on campus are taught by adjuncts. He said he didn’t know." I told you there were more-anybody have any more such stories? It's truth time, don't you think? Get up, stand up-preferably in scary ghost costume. I'm working my way through blogs, FB pages and Twittiverse and have the outlines of a Why I Write blog post in hopper ~ unless I burn out before getting to it. Today, after all, is National Day on Writing and composition adjuncts are legion in the academy. Ethan has been addressing numbers in his series but not yet by discipline. Just getting counted is the first step. In the meantime, there is still OWS. This ~ Occupy Mordor, below ~ caught my fancy. There are clever posters but not enough much humor, the price of earnestness. If you are just tuning in, look at some previous posts on the matter of misreporting, here, and here. Ok, we’ve done Peterson’s and Collegeview, now let’s look at some Federal numbers. Again, this is just for one of the places where I work—Westchester Community College—but you should ask questions about your institution(s) as well. Maybe everybody but WCC is reporting more thoroughly? That’s from the National Center for Education Statistics, US Department of Education, Institute of Education Sciences. Therein, for 2009, we find that part-time faculty are listed at 311. Full-timers are said to be 167. That’s 478, no? Check my math. Now off you go to the WCC Facts and Figures-Faculty for 2009? 170. All full-time. No part-timers at all. Where are the missing faculty? 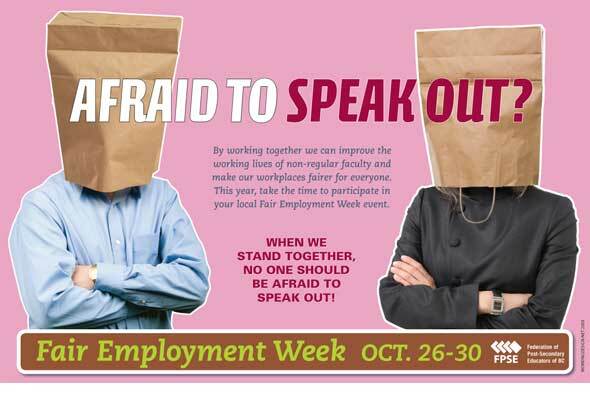 Shouldn’t they all come out, like ghosts, for Campus Equity Week? Peterson's, and Collegeview: Where do they get their information? NOTE: Thanks to commenter below-I should have pointed out, there are more than 1100 faculty at WCC, and therefore the info given to Collegeview must refer only to full-timers. So, why? Who left out the majority of the faculty? More later. I am an adjunct prof at Westchester Community College (WCC) and elsewhere. Your faculty numbers for WCC are not correct. There are more than 1100 faculty at WCC, but your numbers indicate a total of only 174. Where did you get your numbers from? This is a serious difficulty. I am sure that the WCC Office of Institutional Research and Planning can help you correct this. Do you know what your institutions are telling the public, and state and federal government? Not part of #CEW2011, but organized by UNM's Peace Studies Program to support #OWS and supplement 'burque's iteration, activities planned for this event certainly could be adapted for Campus Equity Week. Teach-ins and poetry. Lectures to livestreamed. Video night. I wouldn't be surprised to hear live about live music being added, especially with slam and hip-hop already on the bill. The overall structure is familiar: added performance elements spice it up, and livestreaming delivers it to a larger audience. Adjuncts and contingent faculty scheduling non-violence training might give admin pause though. OK scratch that one. Teach-in topics as listed do not directly address higher ed issues, let alone confront contingency. Although no faculty speakers are specifically identified as adjuncts, some could be. Members of G.E.T., the UNM graduate student employees organization will be filling some slots. "Professors support Occupy Wall Street and Occupy Movements Everywhere" and more petitions... don't sign just one! If you know of others, send us the links. We, the undersigned college and university professors, stand in solidarity with the Occupy Wall Street movements in New York City, around the country, and around the world. We do so in the knowledge that the dramatic increases in poverty, joblessness and economic insecurity in our society are directly related to the extraordinary rise in inequality, particularly the wealth captured by the 1% of our population, which has deeply corrupted our political system. We stand united with the 99% to take back our economy and government from the 1%. Really, How Many Adjuncts Teach Where you Are? Full text of email I just sent to Peterson's. Check out your place. Now, where do they get this sort of misleading info? That # and that percentage may have been true 20 or so years ago but no longer. FT faculty now comprise less than 15% of total faculty. You should check with the WCC office of institutional research about this. I will be happy to talk to you more about this if you wish. We will also have petitions to be signed and AFT giveaways along with some free goodies (candy and cookies) and possibly some basic food items for ‘starving’ adjuncts. We also plan to have a section of a table with an ‘ASK AN ADJUNCT’ sign for students to ask us about our working conditions. We are still working on other things to do. Just got back from Westchester Community College. State-of-the-college speech by Dr. Joseph Hankin, world's longest-serving community college president! Boy was that fun. Asked him if he could do anything about the "Facts at a Glance" that appear online and in BOTH the full-time and the adjunct handbooks-the part that claims that there are 175 faculty at WCC. I know, it's only maybe a little off, like maybe 7 or 8 times less than the actual number, but that's just because they left out the adjuncts! Silly, really. President Hankin did seem surprise, and asked "no part-timers?" I said no, no part-timers. (That's their word for people who can't get full-time jobs at their place because their sections are capped - not his fault, I think: that's my union). So, anyway, he said, "Rose," I think that was the name, "take a note on that." So, anyway, I'll let you know when Rose gets around to that. Or not. But I'm psyched. Have to go teach. BTW-I am not Ethan Valerick, but that's a cool name, isn't it? Am working on a few fixes here. Longest serving community college president in the nation! Well, I was going to go down to Occupy Wall Street, to hand around with the young people and brush up on my drumming and chanting skills—seriously, I approve of drumming and chanting, and I am looking forward to that and will make my way down there Friday—but remembered that today is the day that we will hear, at Westchester Community College, from Dr. Joseph Hankin, our president, who has been on the job since 1971. Hankin is currently the longest serving community college president in the nation. Did you notice changes on the page? This post is mostly just few words about them and other page notions under consideration. First (this is the easy one), I added a column to the layout, three now instead of two, and trimmed a few items. The Newsreel at the top, the Video bar at the bottom of the page are still there, Twitter reader, links, blogroll, subscription and share options are all still there. Links may move, expanded or widgetized, to a page of their own, as might the Blogroll, which would expand as well. Other new pages under consideration include Chapters, Foundation, (Contingency) Summit, Unemployment Comp and CFHE. I would like a calendar but not enough to create, embed and maintain one. The page limit is 10 and we already have Newsletter and Program4Change (in need of updating). How does a public bulletin board sound? Major content changes are republishing the "contributors" list, this time at the top left of the page, where, according to studies, the eye alights first, and doing what it takes to get contributor submissions. Board members all, they used to be on the masthead, but were not contributing. No, I didn't fire them ~ just took the list down but will now try another tack: listing them in the most prominent place on the page where readers just might notice and comment. Please do. 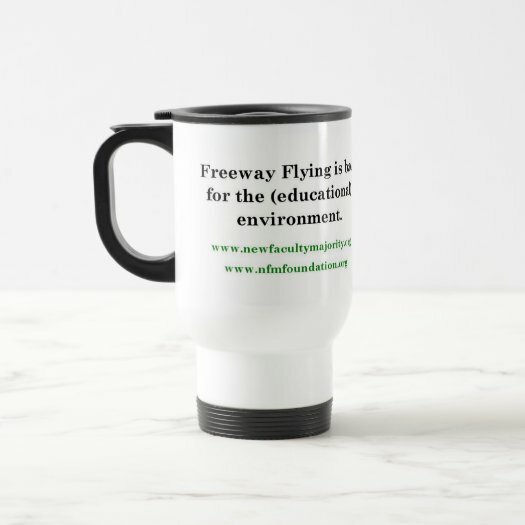 Support New Faculty Majority *and* Fair Trade in Education by shopping at our online stores at Zazzle, Screend and FTE Coffee ~ coffee and travel mugs for freeway flyers to drink it from, bumper stickers, tees with messages (not just for #CEW2011) and more.